Every step you take, every move you make... we'll be watchin' you. Have altered the lines of a famous song. For, this one's applicable for Subhash Ghai, a proficient storyteller, one of the most successful stories from this side of the Atlantic. 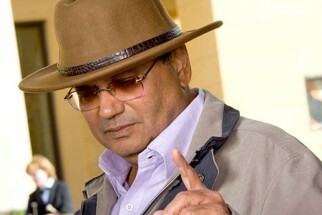 Irrespective of how his films are received at the ticket window, Ghai's movies are always under scrutiny. You watch every film with a magnifying glass. Ghai's forte has been drama. Recall the dramatic moments in KARZ, VIDHAATA, MERI JUNG, RAM LAKHAN, KARMA, SAUDAGAR. He re-visits the genre with YUVVRAAJ. Besides, YUVVRAAJ is his most opulent work thus far. It has a sweeping effect, the film makes a stunning visual statement. Honestly, YUVVRAAJ isn't Ghai's best work, but post YAADEIN, KISNA and BLACK & WHITE, YUVVRAAJ salvages him, even redeems the storyteller. The story [Ghai] mirrors a universal truth. Greed leads to disputes and in turn, ruins all relationships. A fact you've heard or witnessed time and again in real life. While the story is captivating, the screenplay doesn't really do justice to the thought. Also, Rahman's music acts as a soothing balm, but the problem is, it takes time to grow on the listener. And that could be a deterrent. Yet, in all fairness, YUVVRAAJ is a notch above the commonplace. If you intend spending your hard-earned money on it or devoting 3 hours of your precious time on Ghai's new outing, chances are you won't regret it. Deven Yuvvraaj [Salman Khan] is a chorus singer, in love with Anushka [Katrina Kaif]. Her father Dr. Banton [Boman Irani], however, is dead against this relationship. Things take a turn when Deven's father passes away and he returns to London to stake claim on his father's wealth. Ghai has an eye for visuals and every frame of YUVVRAAJ seems like a painting on celluloid. Unmistakably, that's the first thing you notice as YUVVRAAJ unfolds. It takes time to absorb YUVVRAAJ. In fact, Ghai doesn't open all his cards at the very outset. It's only when the father [Javed Shaikh] passes away and Mithun Chakraborty, the Executor of the Will, enters the scene that the wheels start moving. The film gathers momentum after the interval. If the first hour has a few by-now-famous Ghai scenes, the second hour sees Ghai in form, with a number of sequences staying in your memory. The penultimate 20-25 minutes are the best. Watch Anil go through the handycam with disbelief, watch Anil and Salman's act during the concert, watch Salman's emotional outburst towards the end... also the titles [brings back memories of OM SHANTI OM]. On the flip side, the screenplay is erratic. There're constant highs and lows in this journey, the film works in patches. In fact, the screenplay falls prey to predictability and mediocrity at places. Ghai handles the dramatic scenes with flourish. Rahman's music is soothing, but you expect more because Ghai's movies are embellished with lilting music that you recall even after 2 or 3 decades. Kabir Lal captures the striking beauty of Europe well. The output is superb. The sets [Omung Kumar] are truly majestic. YUVVRAAJ belongs to Anil Kapoor, who towers above the entire cast and delivers a natural, believable performance. Salman's looks are inconsistent. At times the boyish look is intact, at times he looks bloated. Ditto for his hairstyle. His performance, however, is better, mainly towards the finale. Zayed tries hard and convinces in a few scenes. Mithun Chakraborty is fantastic in a brief role. Katrina looks angelic. Despite the focus being on the three men, she registers an impact. 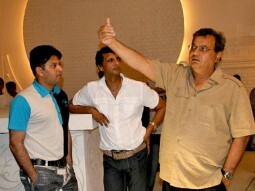 Boman Irani is credible, especially in the scene when he steps out of the Operation Theatre towards the end. 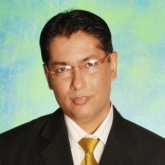 Aushima Sawhney is confident. Anjan Srivastava and the pack of villains/vamps look straight out of RAM LAKHAN and TAAL. On the whole, YUVVRAAJ is interesting in parts, with the penultimate 20/25 minutes taking the film to an all-time high. At the box-office, the package [a mammoth cast, Subhash Ghai, A.R. Rahman, the stunning locales of Europe] should ensure a hearty opening and with no major opposition in the forthcoming week, it should keep its investors smiling.